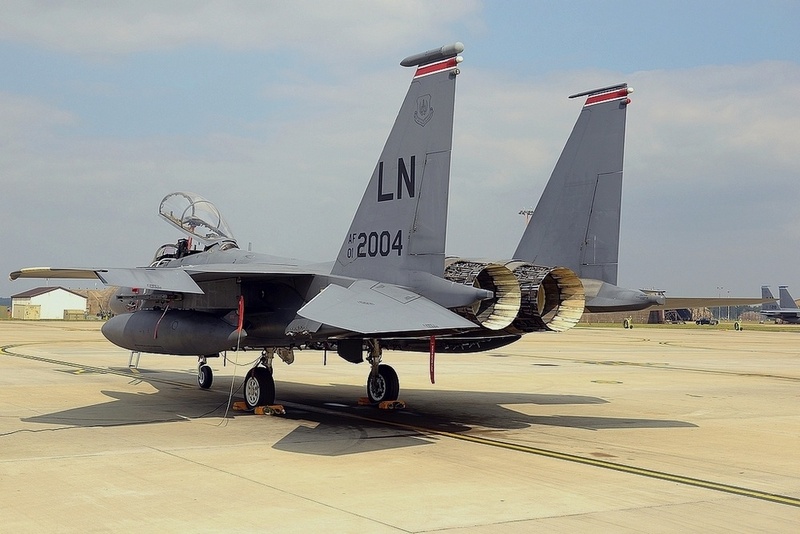 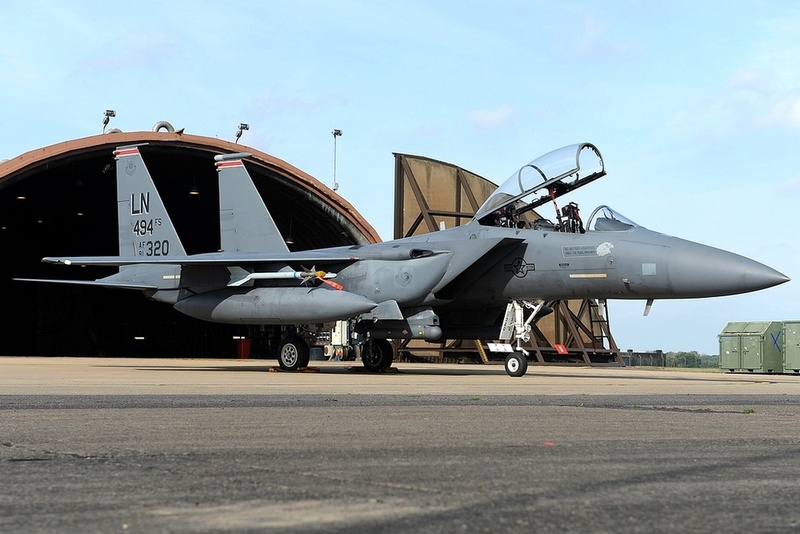 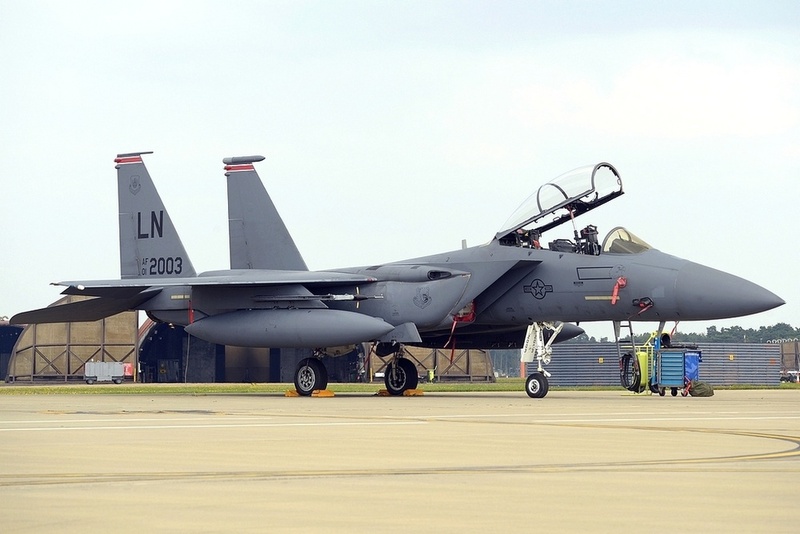 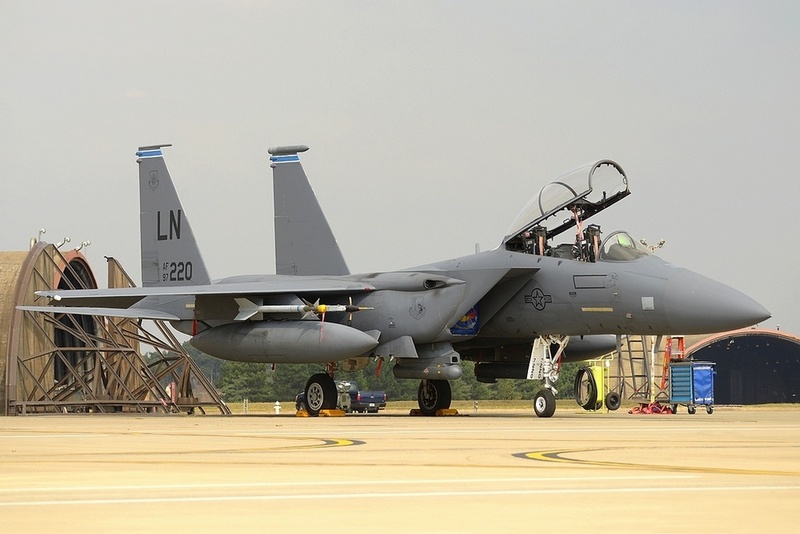 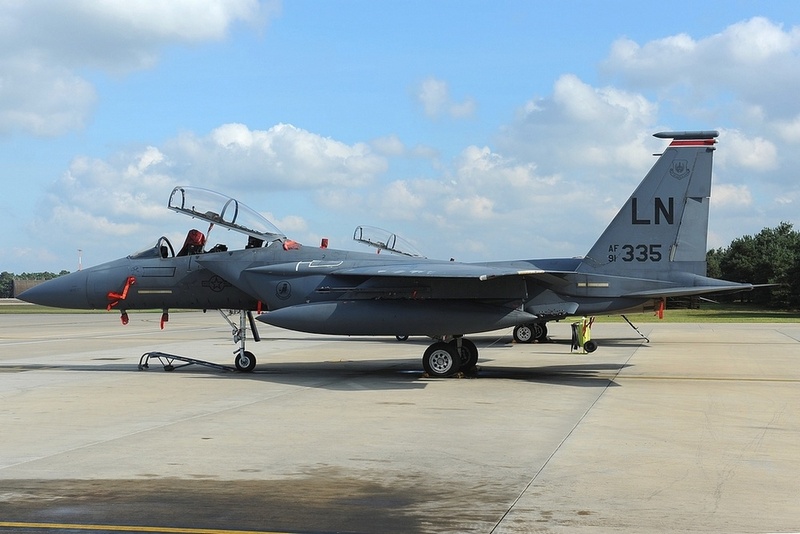 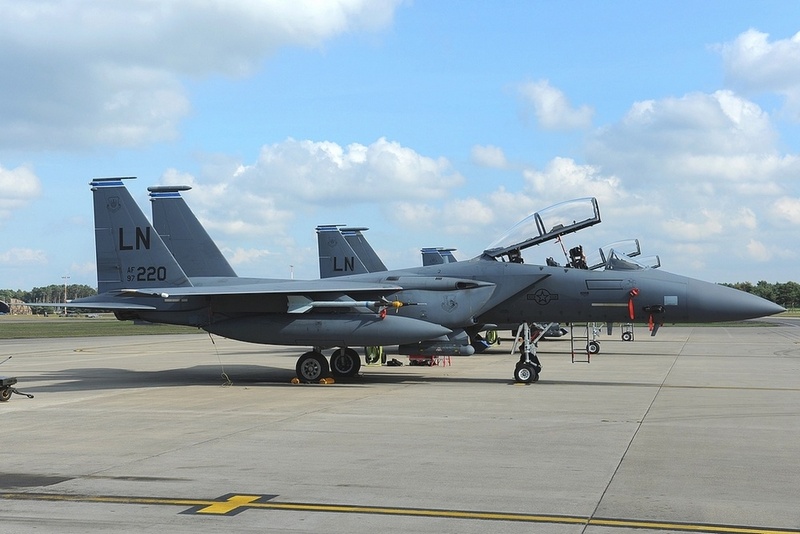 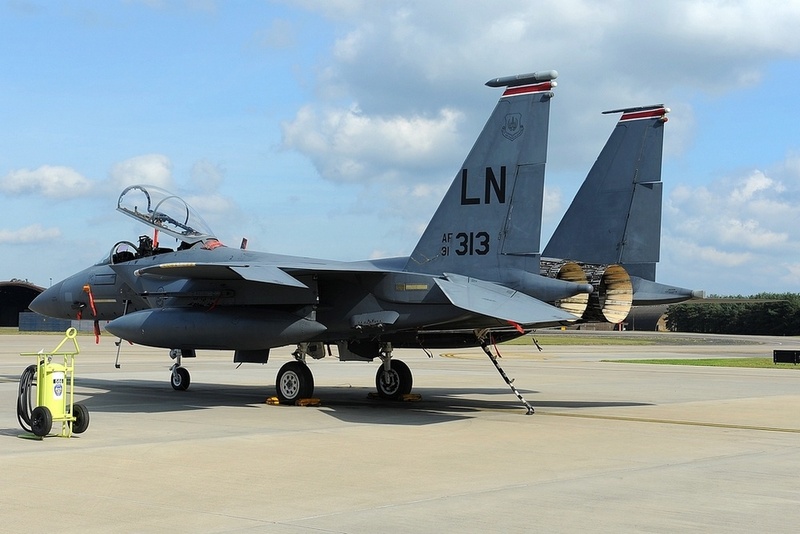 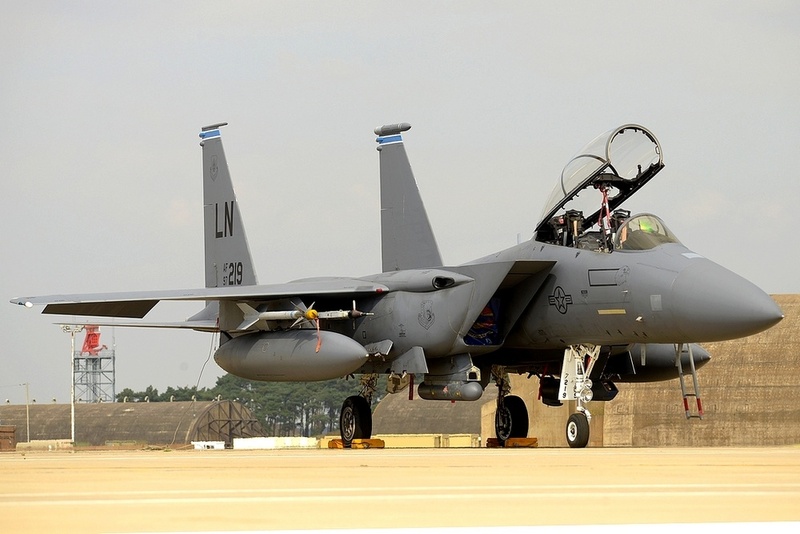 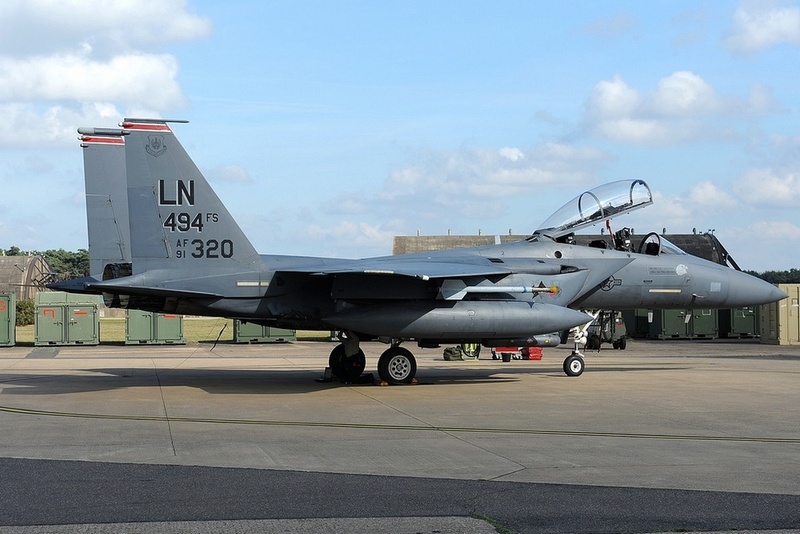 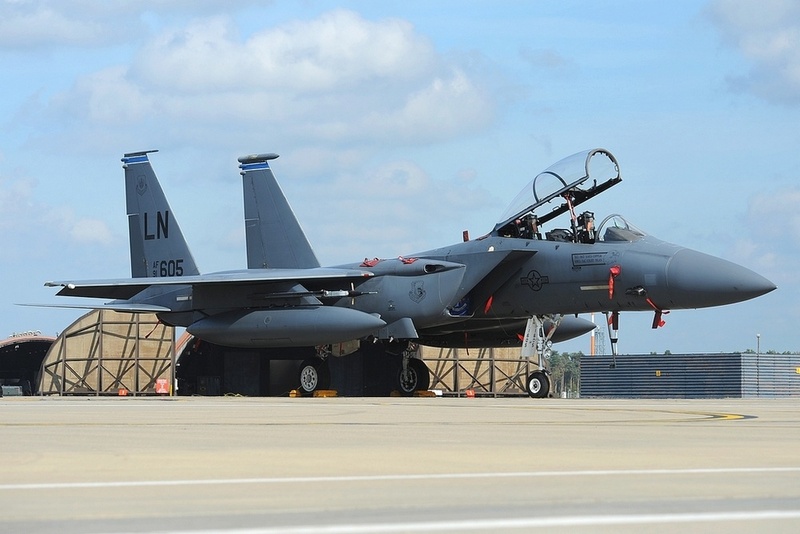 In nearly 23 years of operation, the 48th FW has lost two F-15Es. 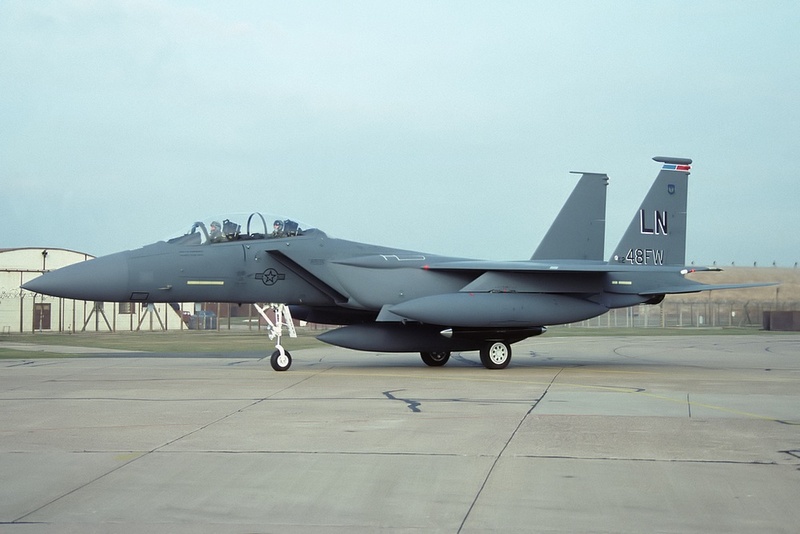 The first (97-0203 of 492nd FS) came back from a Red Flag exercise on 12th September 2000. 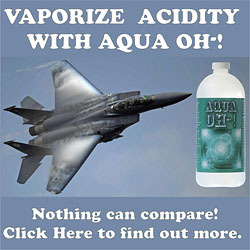 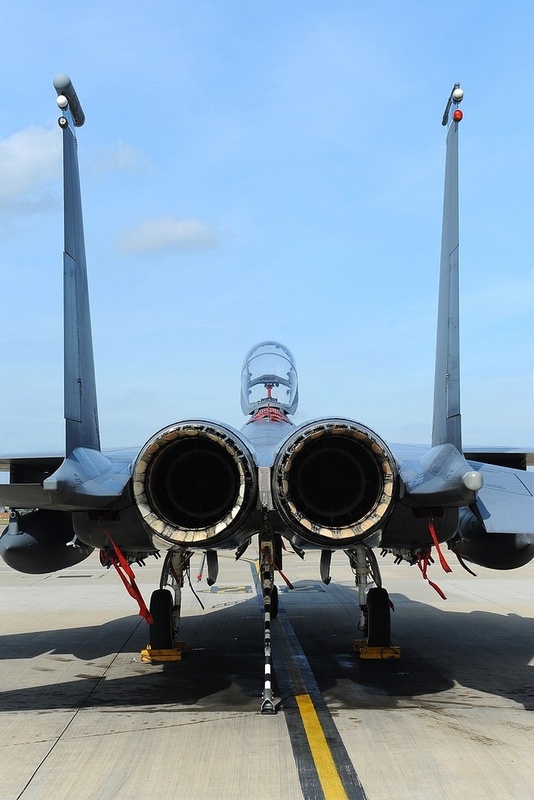 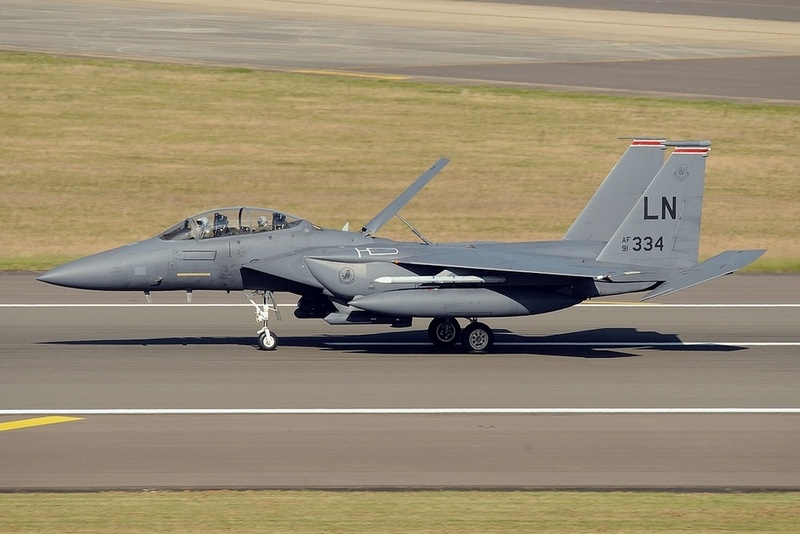 The F-15E did not just blow a tire, the left main gear failed to rotate out parallel to the runway. 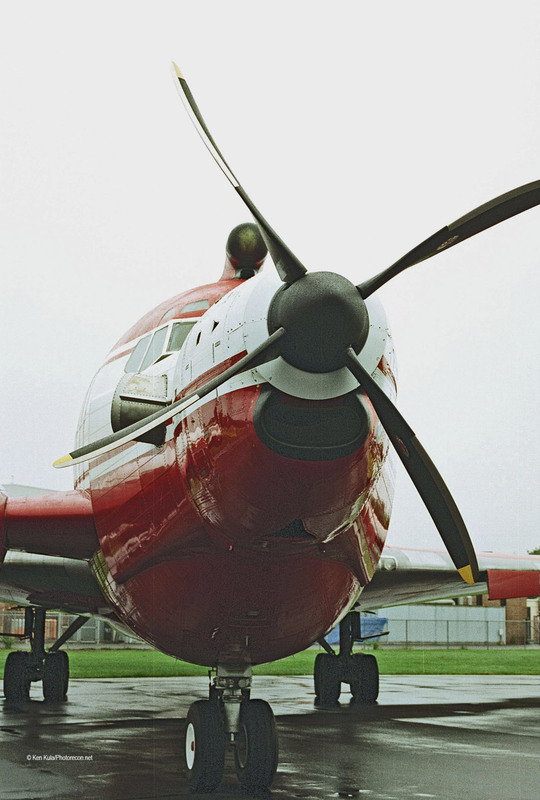 So, the aircraft began to bounce and the cart wheeled up onto its nose. 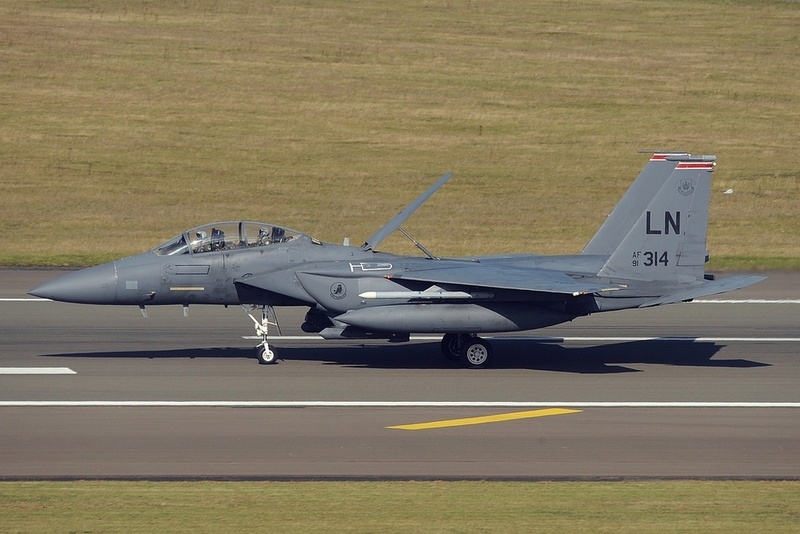 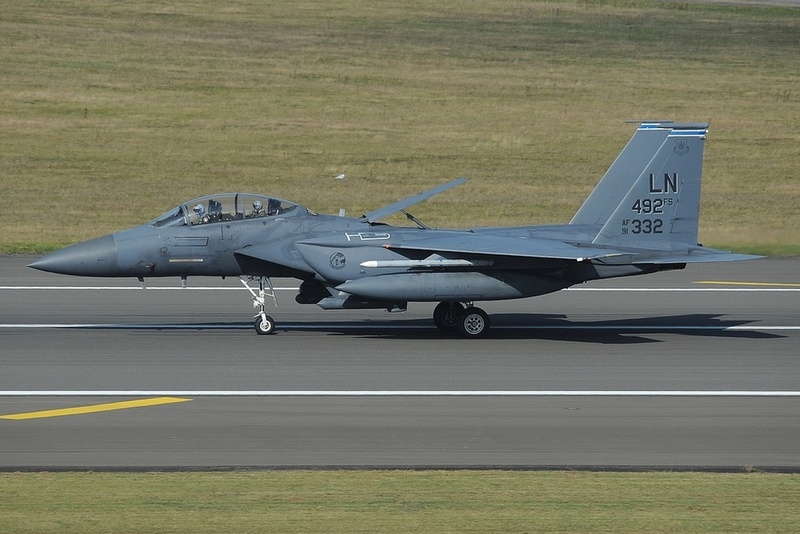 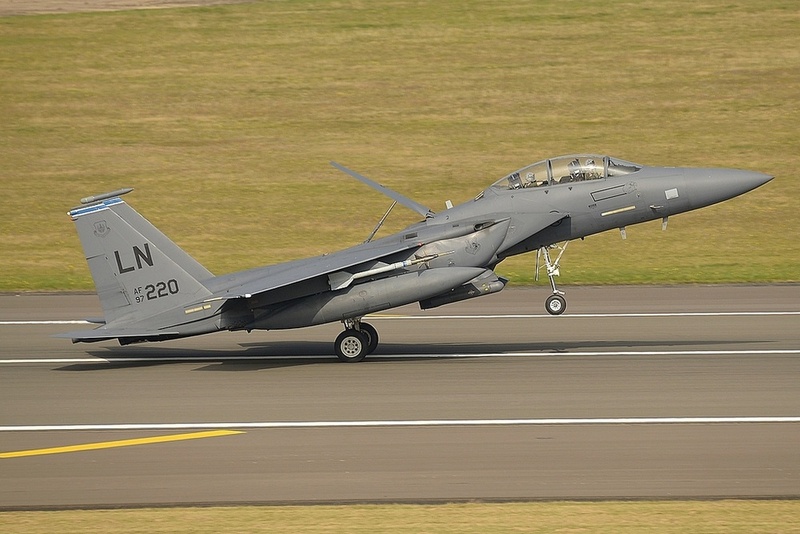 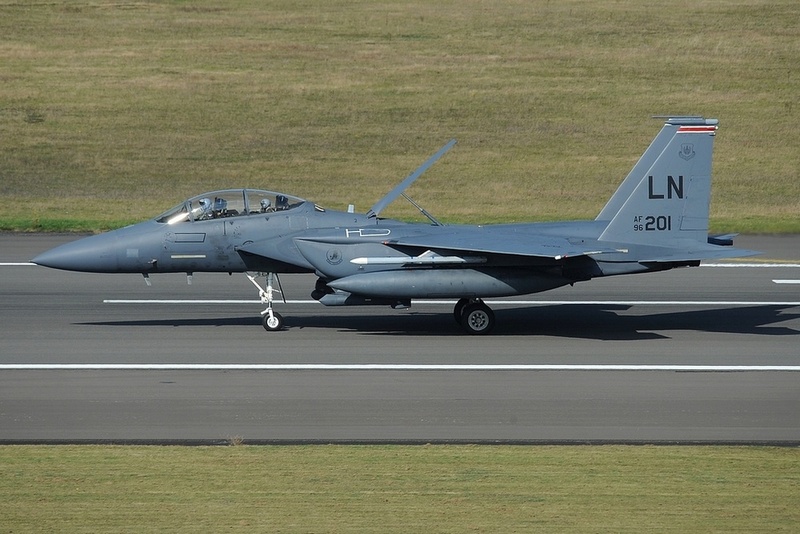 On 22 March 2011 F-15E 91-0304 from RAF Lakenheath crashed near Benghazi, Libya in Operation Odyssey Dawn. 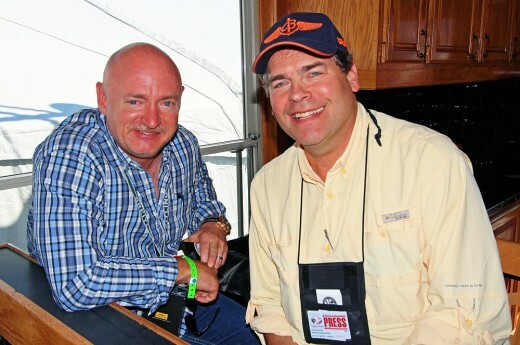 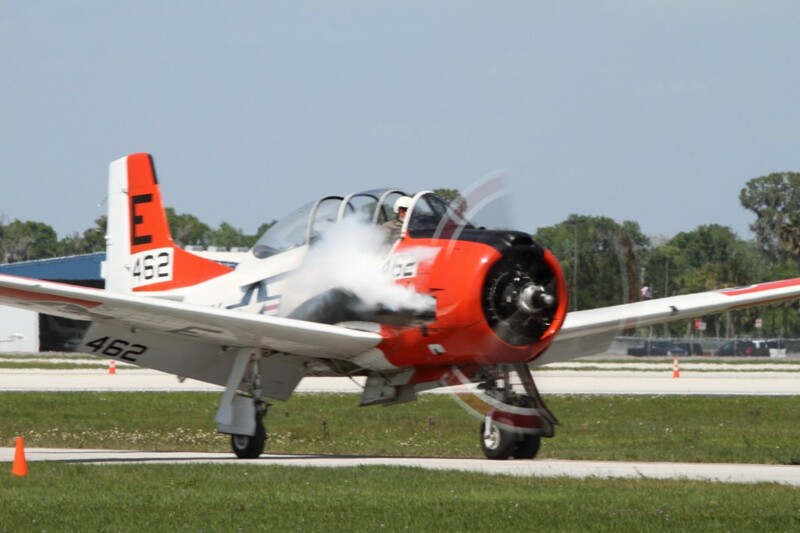 Both crewmen ejected safely and were recovered by friendly forces. 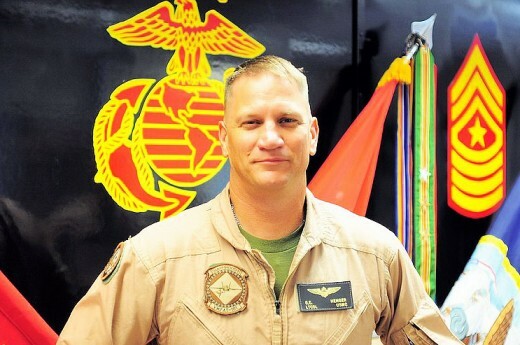 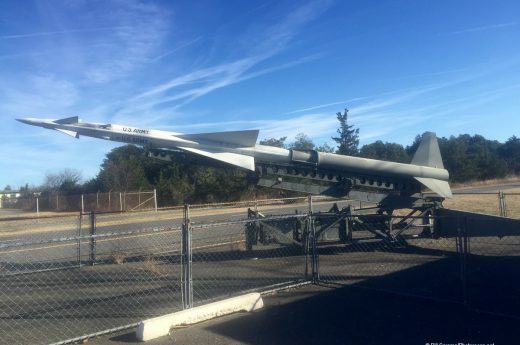 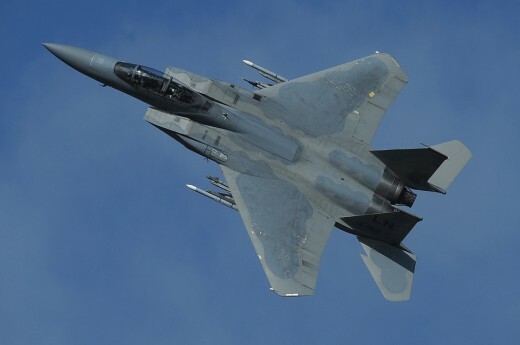 Equipment problems with weapons interface software and the right external fuel tank led to a strong right-wing weight imbalance, which caused the aircraft to enter a flat spin during a low-speed, high altitude, 100 degree bank-angle right turn. 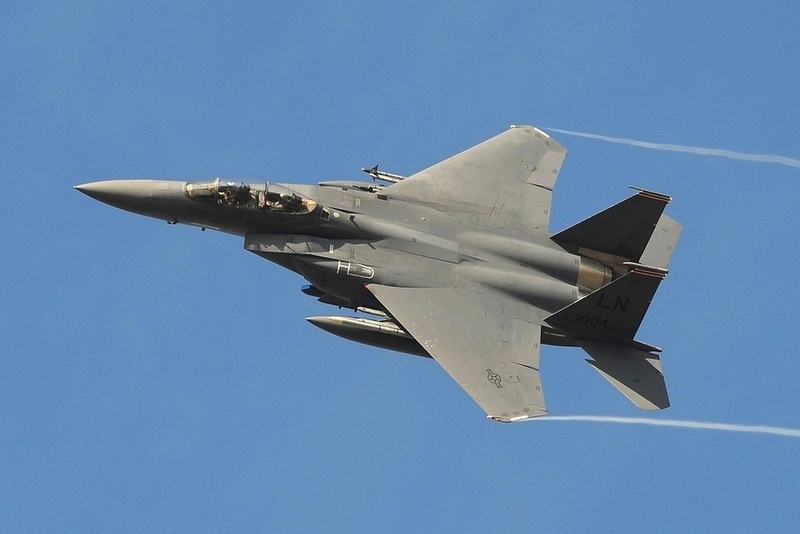 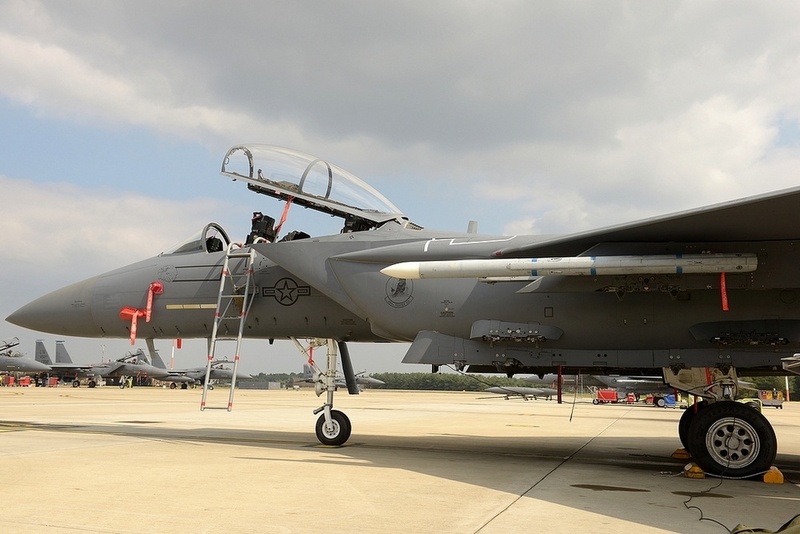 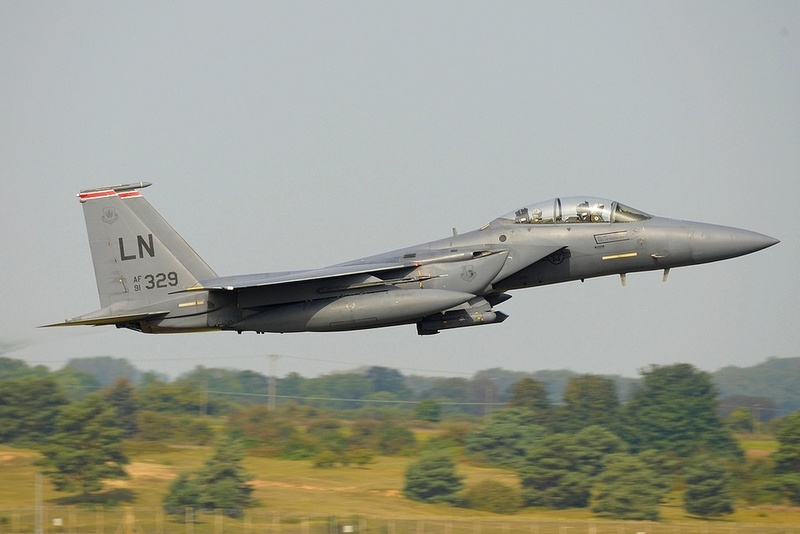 The mishap investigation board found the cause of the crash to be lack of published knowledge on F-15E maneuvering with large external store weight imbalances at high altitude. 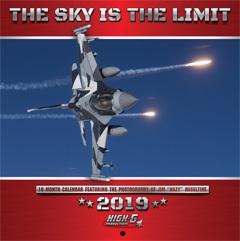 The history of this squadron dates back to the year 1941, but the squadron was activated on 15th January 1960 at RAF Lakenheath, flying the F-100 Super Sabre. 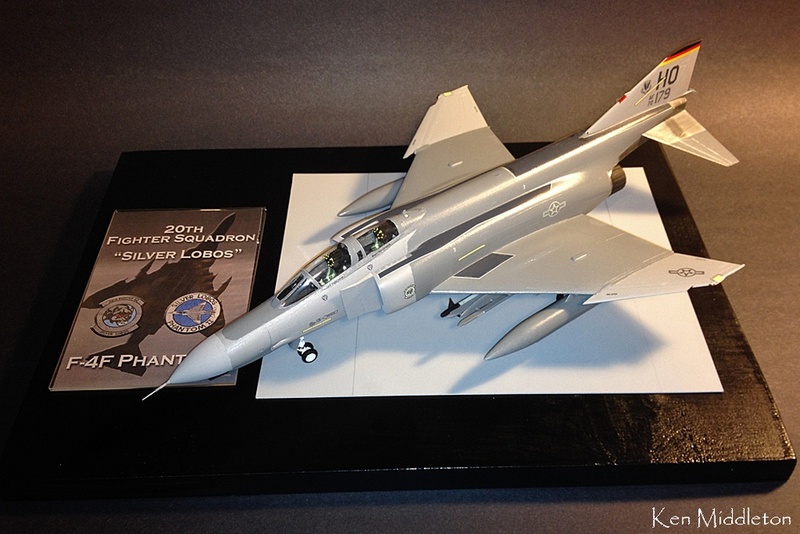 In 1972, the next generation arrived with the F-4D Phantom II; the conversion lasted through August 1974, when the last F-100 left 492nd FS. 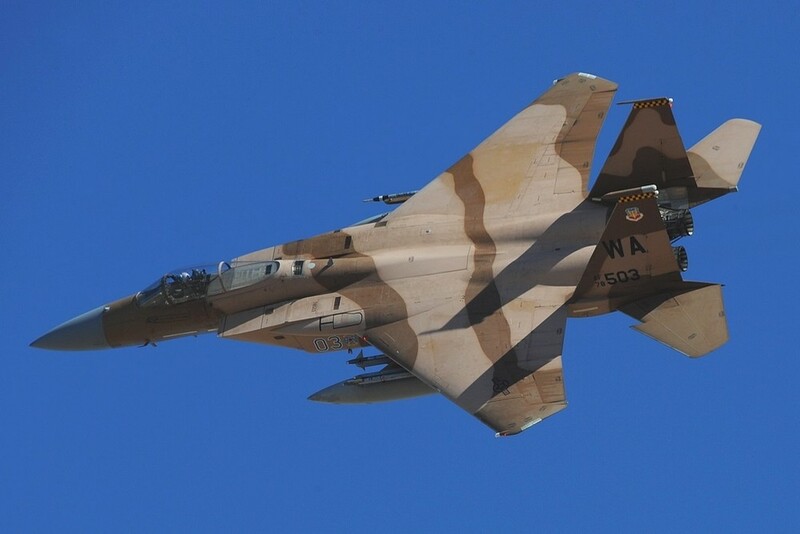 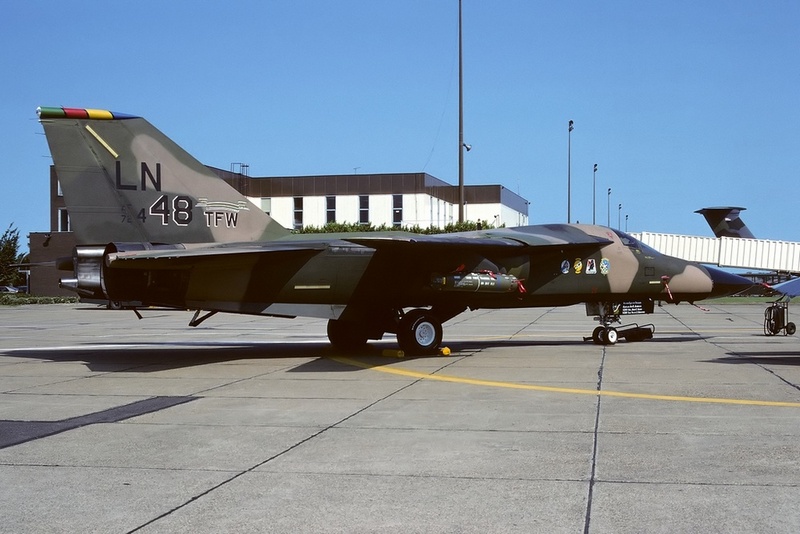 In 1977, the F-111F Aardvark arrived and this aircraft was flown until the arrival of the F-15E in 1992. 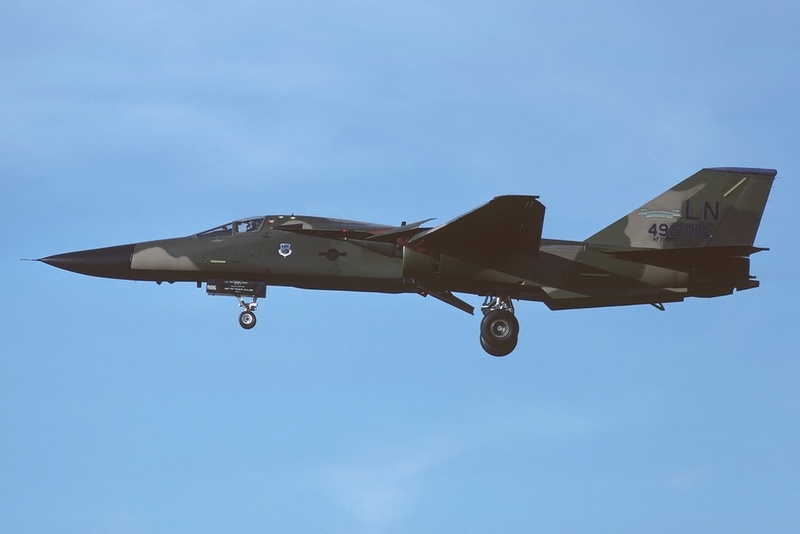 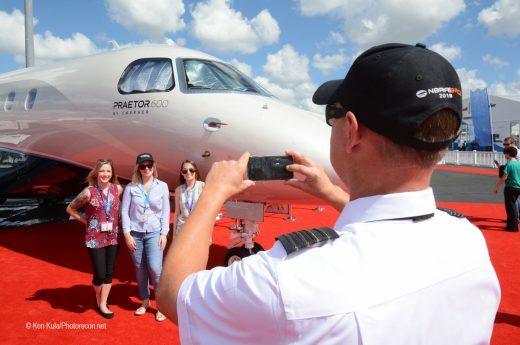 The role of the squadron changed, This continued to add to the previous 50 years of flying the air-to-ground mission with one of the most capable multi-role/air-to-ground jets in the current Air Force inventory. 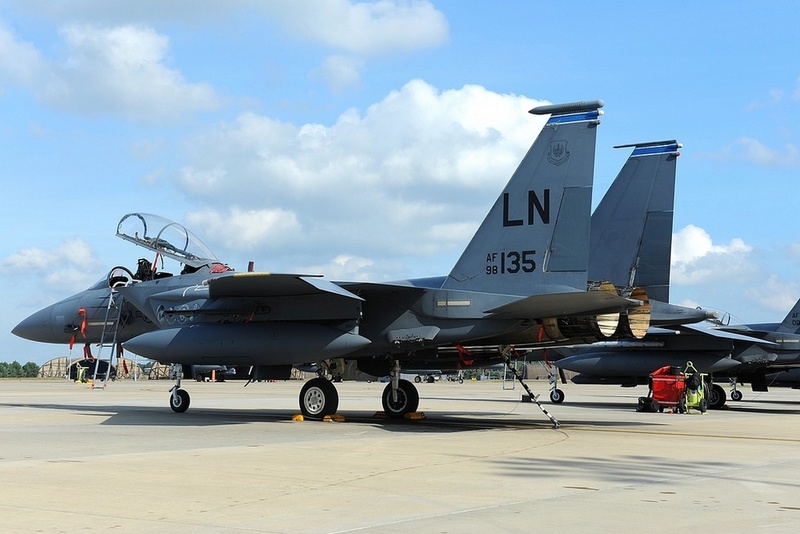 Presently, the squadron flies the latest version of the F-15E and participated in nearly every conflict over the last 30 years. 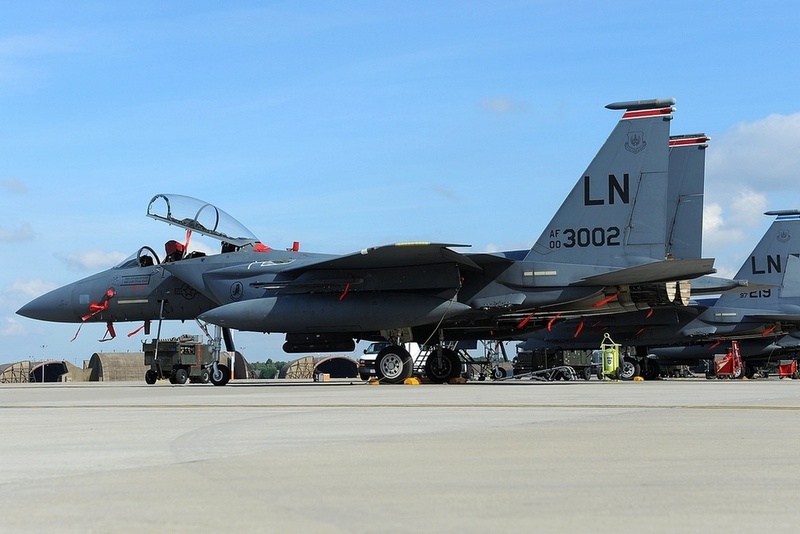 Lately the 492nd FS participated with 12 aircraft in a three-month training at Al Dhafra. 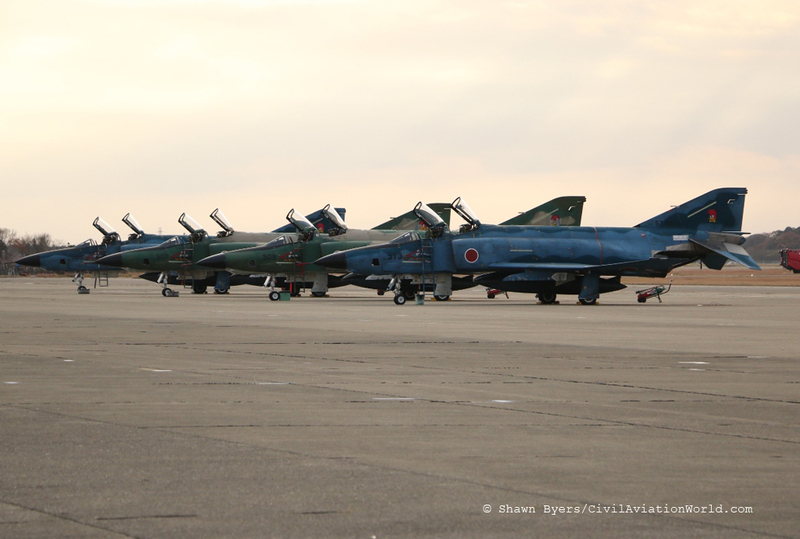 The history is nearly parallel to the 492nd FS, it dates back to 1941 and was activated on 15th January 1960, flying the F-100 Super Sabre, followed in 1971 by the more modern F-4D Phantom II, which was used until 1977. 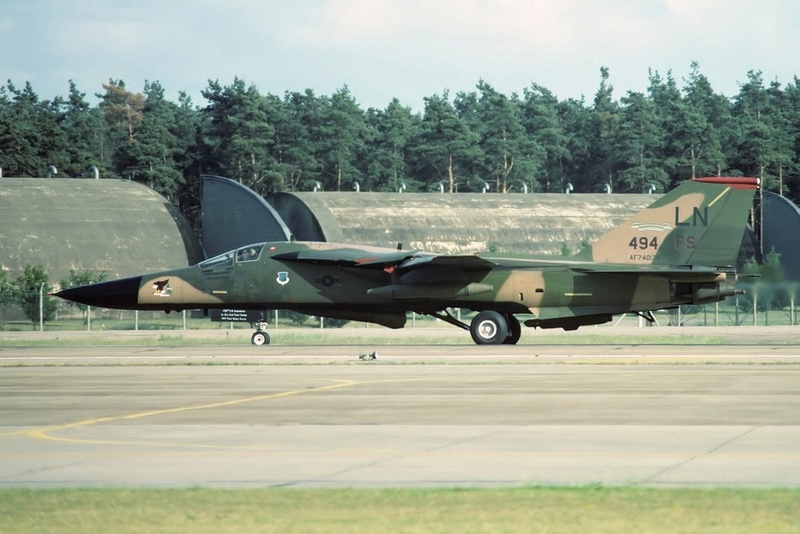 The squadron converted without problems to the F-111F Aardvark. 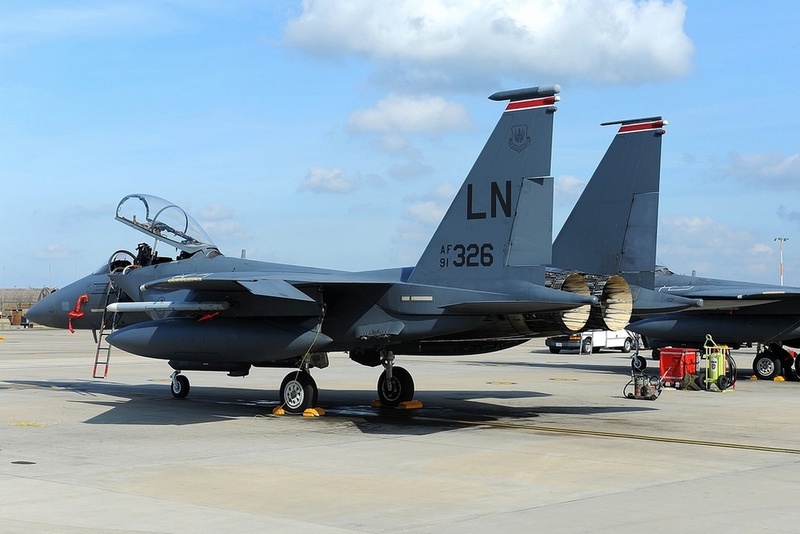 With the change to the F-15E in 1992, the role of the squadron changed, from the ground attack role to a dual role mission: air interdiction and air superiority. 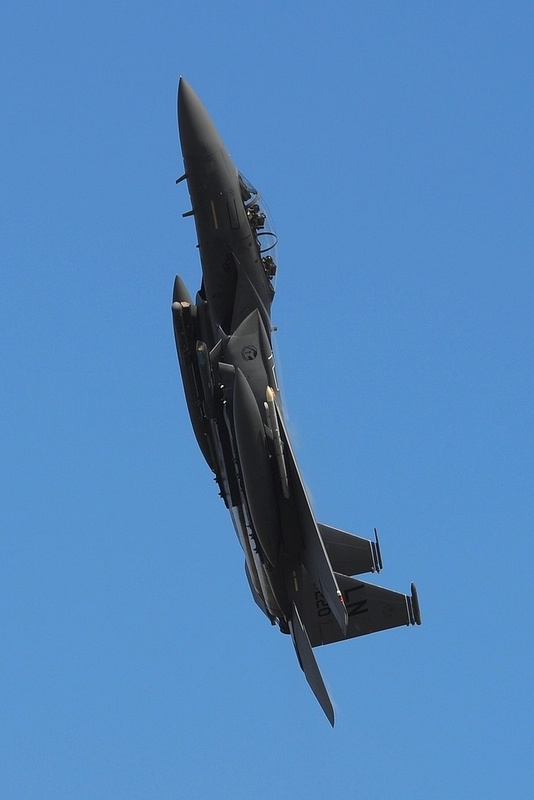 The squadron participated in various missions and was recently at Red Flag at Nellis AFB, NV and then at Hill AFB, Utah for further training. 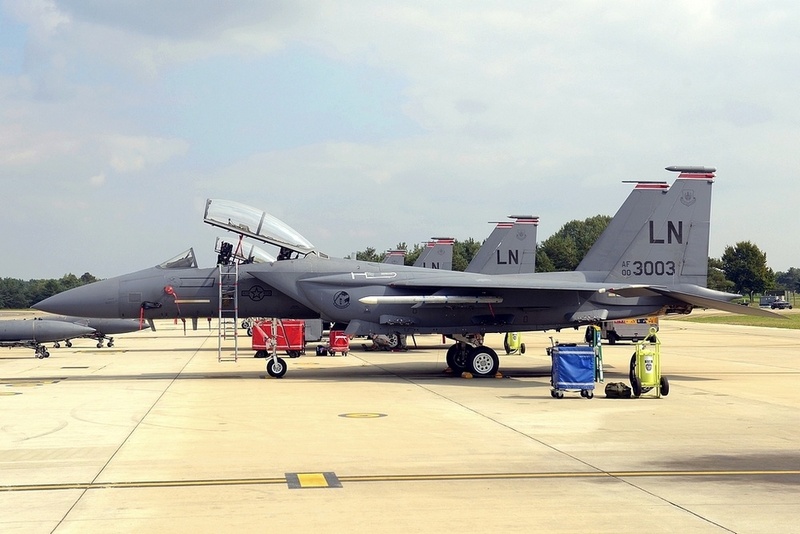 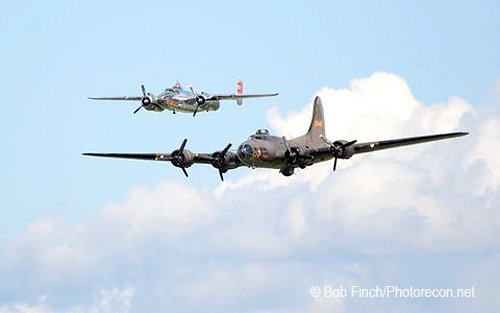 The future for the two squadrons in Europe looks bright. 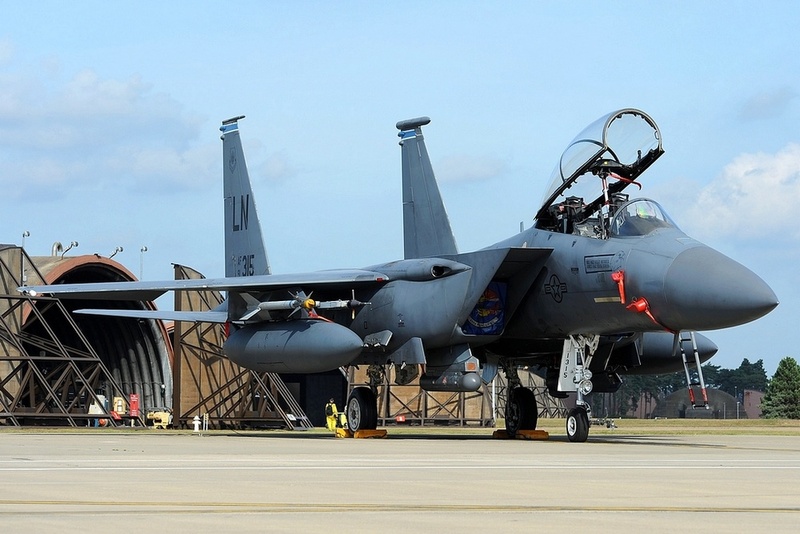 Due to the crises in the Near and Far East and Asia, a return of the to CONUS or a disbandment for the two squadrons is not in the books. 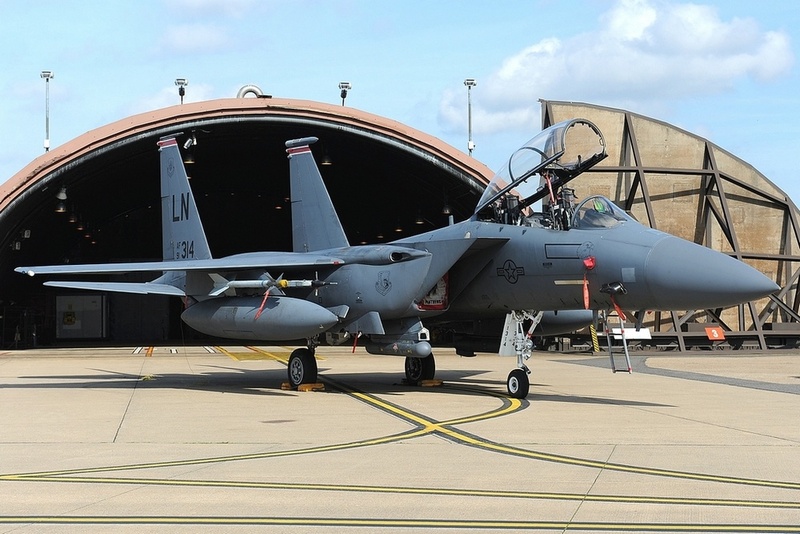 I’d like to thank the HQ of USAFE at Ramstein AB, the PAO of the 48th FW and the people who accompanied me for hours at RAF Lakenheath. 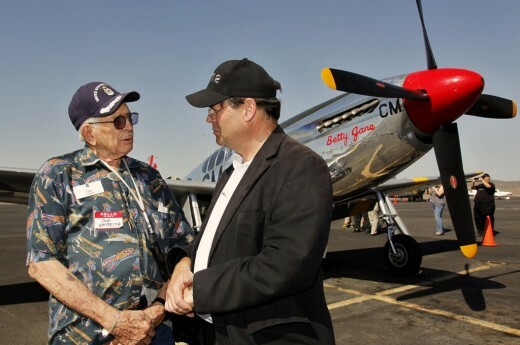 Without all these people, this report wouldn’t be possible.